So your organization is about to deploy iPads to your employees, and you’re not sure where to start? That’s where the Apple Management Experts can help. Since 2002, Jamf has helped thousands of organizations across the globe ensure their Apple programs are a success. 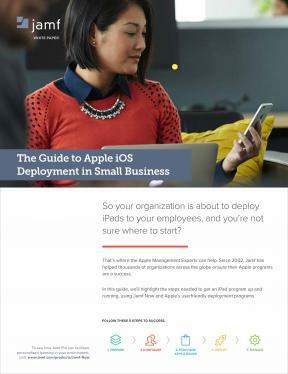 In this guide, we’ll highlight the steps needed to get an iPad program up and running, using Jamf Now and Apple’s user- friendly deployment programs.